I have an obsession with quiche. I seem to be on a never ending quest to find the perfect recipe. This is of course complicated by the fact that I make really terrible pie crust. I’m learning to accept that I may never perfect the art of rolled pastry dough and therefore I stock up on the pre-made stuff. It’s not that bad. In fact, I really like it. It’s crispy, browns well, and makes for an elegant presentation which is not something I can say about some of the hideous stuff I’ve created from scratch. While I was doing my obsessive planning for the holiday party I found a recipe for a basic quiche that I had clipped and saved. I used it to make a ham quiche and a mushroom herb version, but while mixing up the eggs, cheese, and various vegetables and meats I realized that I had a ton of filling leftover. I was probably a little heavy handed with the extras I’d added but it felt like a horrifying waste when I tossed a bunch of it down the disposal. Fast forward to earlier this week. I had a bunch of vine ripened tomatoes and zucchinis that needed to find a home (in my tummy) and two leftover pie crusts. Obviously these ingredients just screamed quiche, so I whipped up the below recipe using two pre-baked pie crusts. Remember, quiche is an all day appropriate meal. The more the merrier! Or you can just toss one in the freezer to heat up at a later time. Another thing that I really like about this recipe is that it only uses 4 eggs and 8 ounces of cheese, which you then split between two pies. So not withstanding that whole “bad for you” pie crust thing you’ve at the very least lowered your potential egg and cheese calories (or that’s what I tell myself). Plus you filled up those pastries with veggies galore. That has to count for something. So pull out those leftovers and crack a few eggs. Delicious meals don’t get much easier than this. 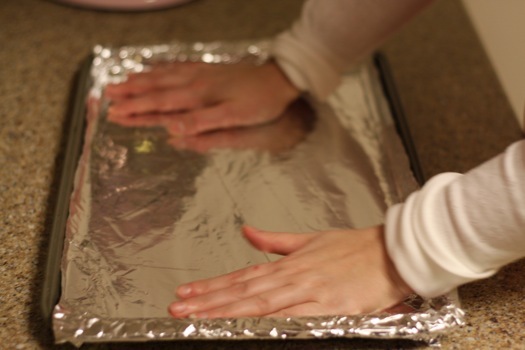 Note: If I were you I wouldn’t skip the step that indicates foil lining your baking sheet. Quiche have an annoying tendency to overflow and you will so not enjoy scrubbing your favorite baking sheet or (the horror!!) the bottom of your oven for a week. In a large skillet, over medium heat, heat the oil. 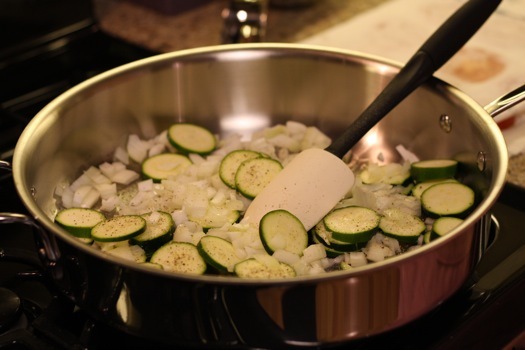 Add the onion, zucchini, 1/2 teaspoon of the salt, and 1/4 teaspoon of the pepper. 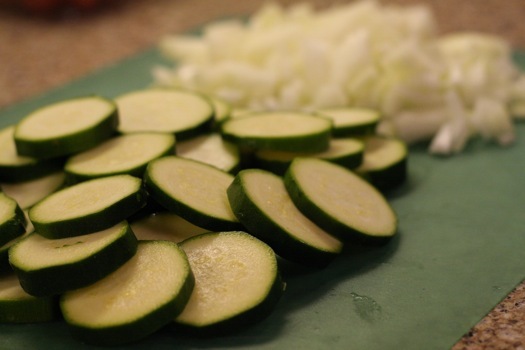 Cover and cook until the onions and zucchini are softened, 5 to 7 minutes. 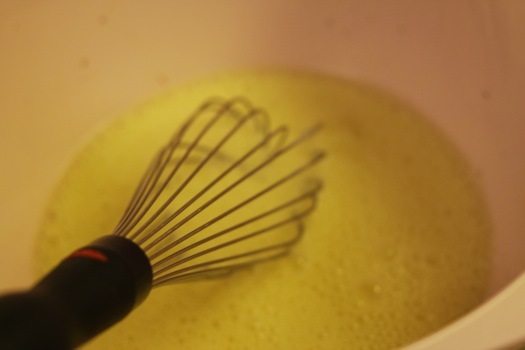 Meanwhile, whisk together the eggs and half-and-half. Stir in the Gruyère, herbs, nutmeg, the remaining salt and pepper, and the onion and zucchini mixture. 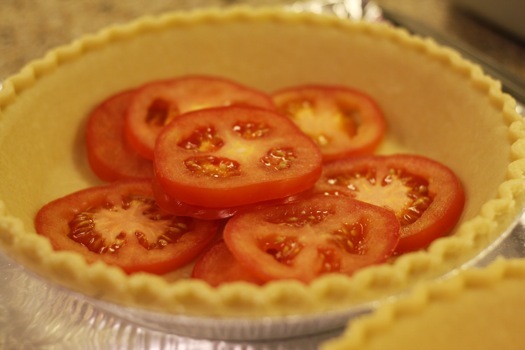 Place the pie crusts on a foil-lined baking sheet. 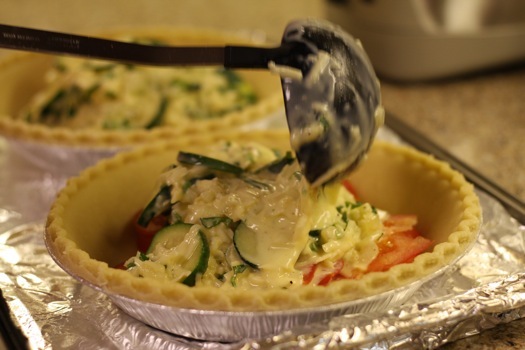 Scrape the egg mixture into the pie crusts; they will be very full. 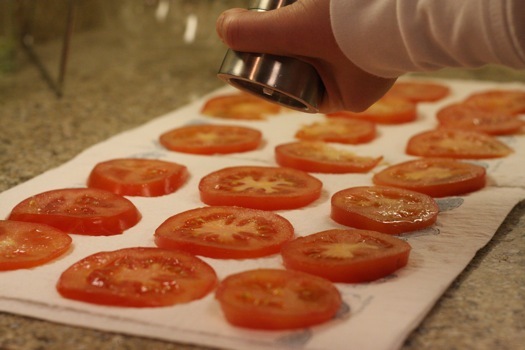 Top with sliced grape tomatoes. Bake until the filling is set and a knife inserted into the center comes out clean, about 40 minutes. Let rest for 5 minutes. Cut into wedges and serve. Now that is a very tasty way to get rid of some leftover asparagus in my fridge. I wonder if I can sub the gruyere for leftover asiago & chedder from last weekend’s debauchary? 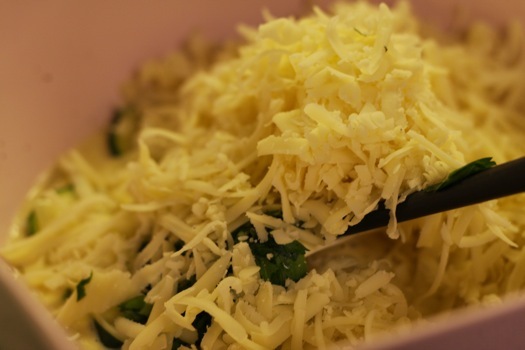 Much like the veggies, you can also use any cheeses that you have on hand too. Cheddar and Asiago sound great! In the past I’ve used Parmesan, Monterey Jack, Gouda etc… the skies the limit. i will adopt you if you promise to do all the cooking. OMG I’m drooling onto my shirt! That looks spectacular! I love a good quiche. yummy! 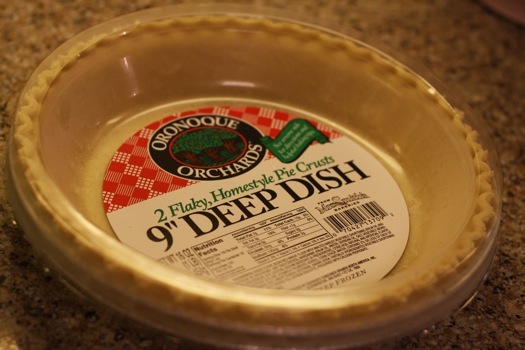 that looks doable – especially if i use premade crust. 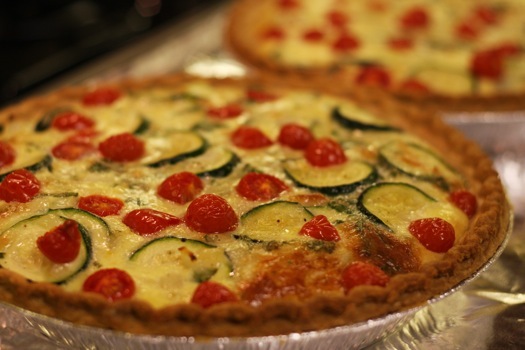 is there a cheese that you preferred for the quiche? Really you can use anything. 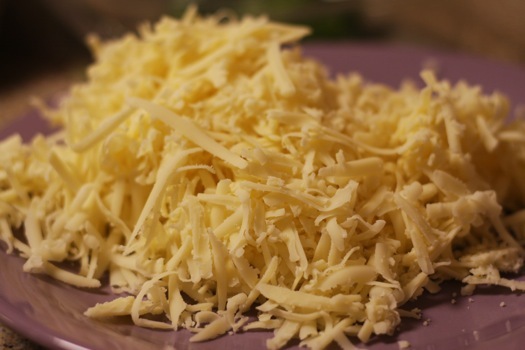 Obviously American Cheese would be kind of gross…usually I prefer to use some combination of sharp cheddar and Gruyère. Okay, I’m not a huge fan of quiche, but your finished product looked great! 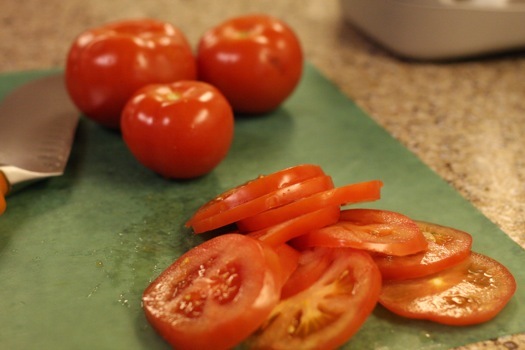 and since I love tomatoes in any form, I just may try this recipe. Thanks! I used some pre-made pie crusts not long ago and I was actually surprised at how much I liked them. And definitely easier than making from scratch! 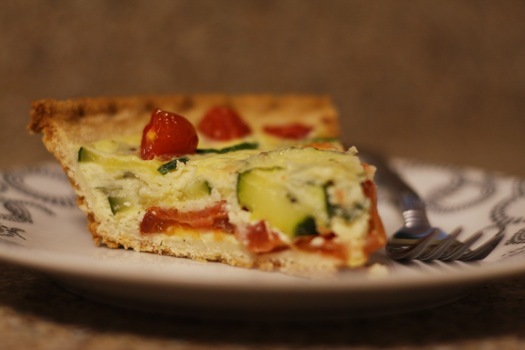 I love quiche, too, and this one sounds fantastic! 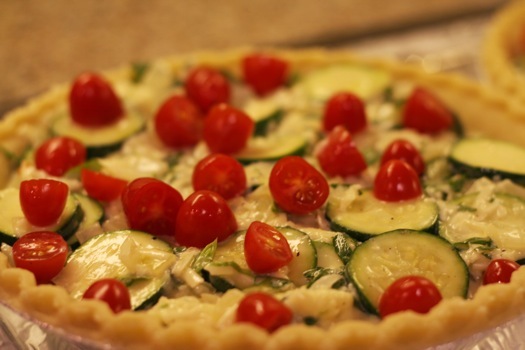 What a delicious quiche! I love the step by step photos as well. Can someone tell me if I need to blind bake the pie crust before baking the quiche?